Recap of WITI OC Event - "Getting Passed Up on Promotions? Toot Your Own Horn!" During January's event the recruiters talked about knowing your superpowers. How does one know and develop these superpowers? Mischa has the recipe! Mischa showed how to practice techniques to articulate your unique value, she shared what it takes to be recognized, and how to unlock opportunities for your career and step into the realization of the new you! The event was held in the beautiful and modern training room in iHerb Irvine offices. iHerb facilities and iHerb company mission 'World's Best Value for over 30,000 Natural Products!' augmented the theme of the event brilliantly. Mischa's cognitive behavioral transformation curriculum empowers people to increase their health and wellness and iHerb is a part of global solution to a healthier and more sustainable planet. Mischa Martineau's background is extensive, and it is nicely summarized on LinkedIn. For this recap I will highlight couple of points on Mischa's life journey that were very relevant to the topic of this event. Mischa's System is based on neuroscience and Mischa is a member of the planning committee for the upcoming Neuro Leadership Forum at UCI Applied Innovation. Mischa delivers the topic that could be dry in a very entertaining fashion and it is no wonder Mischa was named one of the Orange County's funniest females. Each member of the audience was given Mischa's Emancipation Proclamation worksheet and during the event every member of the audience started his or her I AM journey. The most powerful system for success is our belief system and Mischa gave concrete examples how we start, fuel, and sustain our personal growth trajectory. 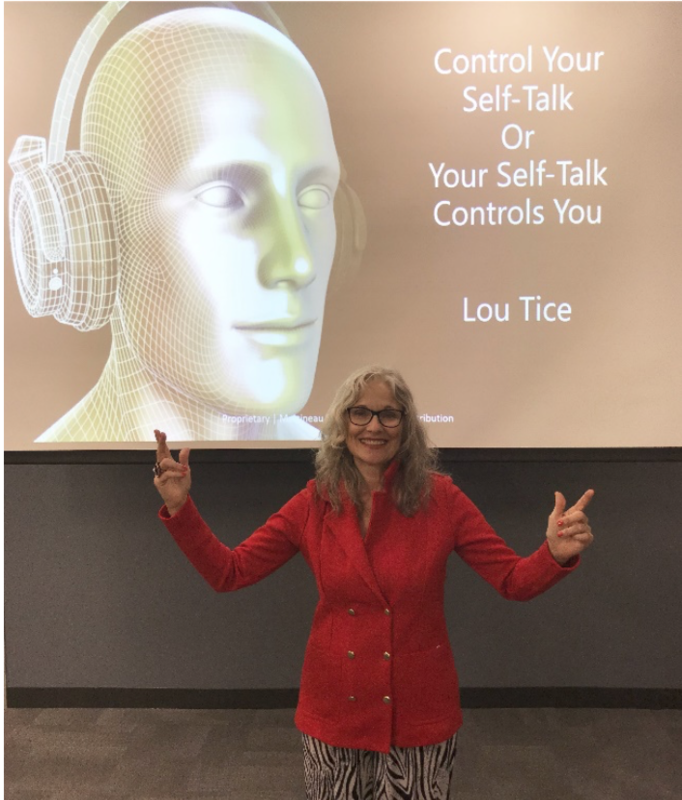 We need to control our self-talk or our self-talk will control us. All of us are master programmers of our mind. If we want to demonstrate our superpowers we have to put our vision into words and create a thought ladder that will remove our mental blocks. Examples: "I AM demonstrating my superpowers of <...>, I AM on the frontline of innovation, I AM building my capabilities in <...>, I AM rising above adversity, I AM positioned for a greater impact. " How do we get promoted? Mischa talked about the critical importance of succession planning. You have to have somebody trained to step into your role so you can transition into your new role. By supporting others in leadership, meeting up with people, and by mentoring others the opportunities will open up for you. Organizations will look whether there is already somebody who is doing the work. Examples: "I AM supporting leaders. I AM championing others. I AM fulfilling my purpose." Speaking up is also a responsibility that is critical to our promotion. Our value is seen and sensed. Enterprises need to tap into the knowledge of all the people in the organization. Any planning and building starts there. Think about what you are known for in your organization. Nowadays HR ratings are no longer widely used. What leaders are evaluating whether they can have a quality conversation with you. It is no longer about FeedBACK but about FeedFORWARD. At the end it all comes together in expressing our Core Values that led to Our Contribution that delivered This Impact for Our Organization. The audience really connected with the topic throughout the session, there were several 'ah ha' moments with head nods and chuckles. Articulating who we are in the world does not come to us naturally and Mischa's system is designed to not only to uncover it but also it can lead us to a real and lasting personal change. It can show us how we can sustain positive thinking and avert some of the physiological issues that plague many in our modern society. Mischa left us with expanded understanding of what is possible in our life, with concrete recipes how we can activate our powers of imagination and intention, and how we can experience our greatest dreams. Few members of the WITI audience were lucky to win Mischa's 'My Discovery Journal Workbook' and personal coaching sessions. Thank you Mischa!